The case that we have been using on our devices for years has just recently been promoted to an executive. 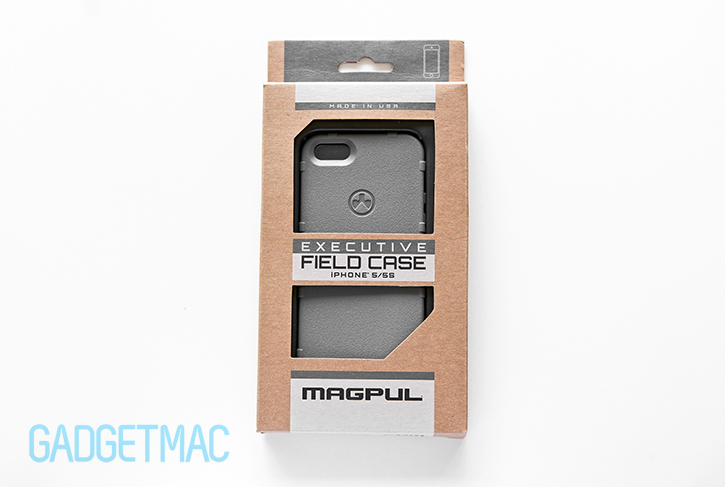 That’s right, Magpul has finally duplicated its fan-favorite Executive Field Case to fit the iPhone 5s and iPhone 5. The iPhone 6 may be just around the corner, but if you're not in a hurry to upgrade to the latest and greatest then this might be a great opportunity to try out a new case. 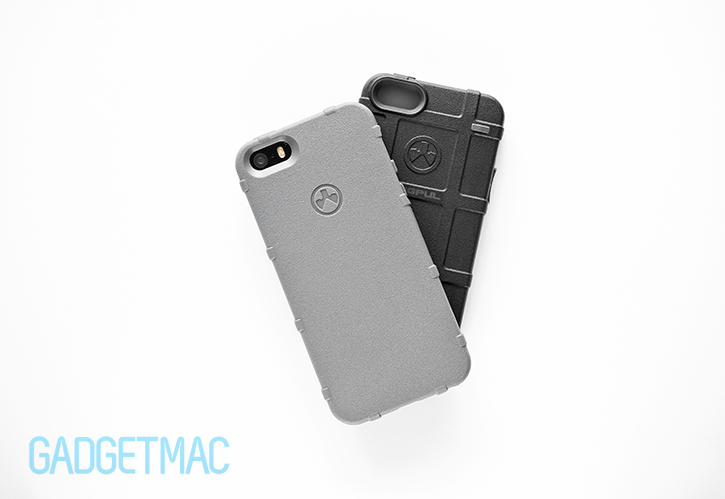 Magpul continues to rank extraordinarily high on our top favorite list of case manufacturers year over year due to its relatively inexpensive and expertly made tactical-inspired cases for iPhone, iPad and Android devices alike. And to think that this is a company that doesn't primarily make cases, but rather tactical and military-grade gear says a lot about the dedication and attention to detail that Magpul puts into manufacturing cases for mobile gadgets right here in the U.S. 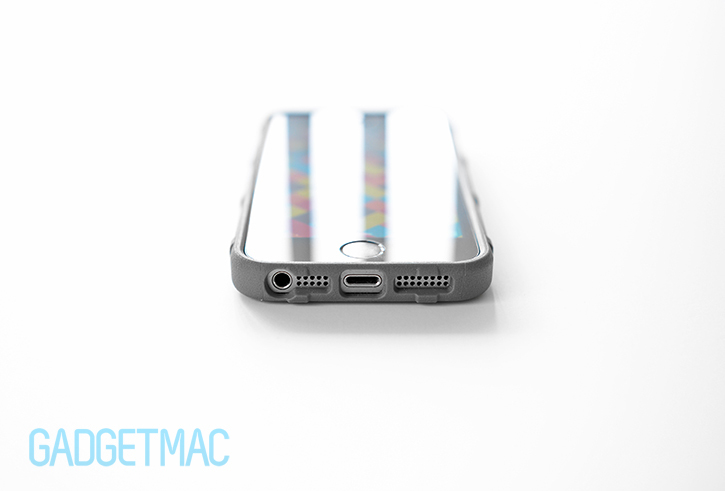 But enough of that, our in-depth Executive Field Case review is waiting down below! In a crowded marketplace where expensive cases typically offer better quality and durability, while bargain cases are considered to be a "you get what you pay for" type of deal, Magpul's $17 Executive Field Case is anything but these two different categories despite its executive moniker. Like other Magpul cases, you'll find the Executive Field Case in this conservative cardboard packaging and in a set of tactical and camouflage themed colors from the gray we're reviewing here to outdoorsy hues like desert tan and olive drab – as well as more bright colors like orange and pink. 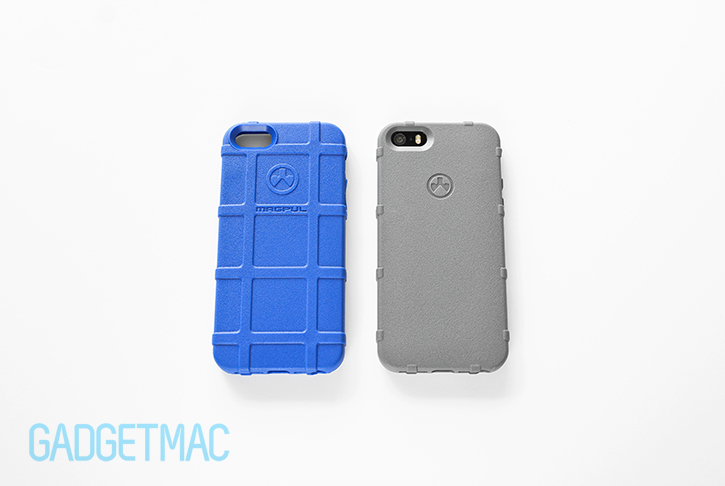 Other colors like clear, white and blue aren't yet available for the Executive Field Case, but it's only a matter of time before Magpul introduces even more vibrant colors just as it has for all of its iPhone, iPad and Android cases, respectively. The Executive Field Case is making its come back a bit too late now that Apple is getting ready to release the larger-screened iPhone 6, but it's here nevertheless. Cleaner and more executive looking than ever, this case was designed for those who didn't quite fancy Magpul's ultra-tactical PMAG style ribbed grid design of the classic Field Case and more recently the Bump Case. 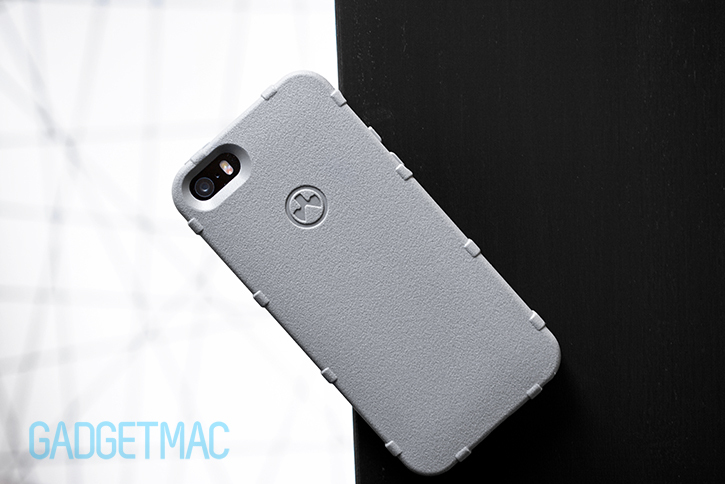 As the name implies, it's a more elegantly styled case with a clean back yet it still has some of that good old ribbing around the edges to provide additional grip. Magpul is taking its classic and aggressive styling down a notch with the muted and stealthier-looking Executive Field Case. Unlike the Field Case (in blue above) and Bump Case which are both covered in Magpul's signature PMAG-style ribcage pattern, the Executive Field Case has a clean backside free of any raised ribbed patterns in order to create a more casual looking design that's also slimmer as a result. The Magpul logo on the back has taken a finer and smaller styling compared to other Magpul cases and doesn't stick out to keep in line with the clean overall design and slimness of the case. There's also no text branding underneath. It's seemingly less tactical and a lot more subtle. The Executive Field Case for the iPhone 5s shares the same semi-rigid, snap-on design as its iPhone 4s predecessor and Field Case stablemate, but with an improved constructed body that fits and hugs your device as if it were a latex glove. It fits flawlessly in such a way that it kind of feels like it becomes one with the iPhone in that there's no give or flex whatsoever. The fit is solid as a rock and that's one of the great things that we really like about Magpul's arguably faultless case design and manufacturing. That insanely texturized TPU material Magpul is so famously known for is no different on the Executive Field Case than any other case Magpul makes. Needless to say, that's a very good thing indeed. TPU cases are known to have a not so unique characteristic, however, Magpul's concoction of experience resulted in something that is more special than your average TPU-made case. The Executive Field Case feels exactly like its non-executive counterpart, only more streamlined due to its less cluttered backside – which we think looks less gaudy and will respectfully appeal to a lot more people in comparison. The amount of grip being provided by the Executive Field Case is borderline insane. I'd go as far as saying it's as grippy as rough sand paper, but that just comes out as seeming like an uncomfortable thing to be holding. Magpul's expertise in manufacturing some of the most popular tactical accessories certainly transferred over to its smartphone cases in a big way. The textured TPU rubber seems to me like some type of proprietary granular texture we've yet to see on a case of this kind. Notice the pill-shaped camera cutout reveals no part of the iPhone's aluminum in case you're picky like that. It's also worth noting that there's no flashback issues at all because of this - at least with our gray Executive Field Case that is. It's also worth mentioning that the Executive Field Case is not completely flat across the back, but instead tapered ever so lightly towards the edges to fit more comfortably in your hand. This makes it an arguably more pleasing to hold design compared to the extra ribbed styling of the non-executive Field Case. The texture and the slimmer profile of the Executive Field Case compared to the classic Field Case makes a big difference visually as well as ergonomically. You have to feel it to believe it, and understand why we're raving about it so much. Because photos and a few words can't express the sensational feeling of using this case with a device like the iPhone 5/5s. The refined side ribbing, slim yet protective profile and that extremely grippy durable material makes the Executive Field Case a pleasure to use and hold more than ever before. One of the small details that come with the Executive Field Case's unique textured polymer is that lint and fingerprints fear it even if you pick up a black colored Field Case. The finely textured material shows no fingerprints nor does it attract lint. Magpul's Executive Field Case is purposely designed to have a low profile so that it won't interfere with how you use your iPhone whilst still featuring a minimal, and well rounded lay-on-the-table designed periphery along the edge. And while I love using cases such as Spigen's Tough Armor, the Executive Field Case is by comparison a lot slimmer, more refined with its form-fitting and a whole lot more agile to hold. It doesn't feel bulky like the Tough Armor respectfully does, and that's appreciated especially when the iPhone 5s is one of the thinnest handsets on the market today. What's more is that like Magpul's Field Case and Bump Case cases, any tempered glass or regular screen protector will fit with the Executive Field case without any issues. Unlike the Field Case and Bump Case cases, the Executive Field Case's more simplistic styling means that it no longer features the same highly textured control buttons. Instead, the Executive Field Case has simple and texture-less button controls for the volume and power/sleep/wake that are still thankfully extremely tactile and easy to operate through the rubbery material. Top view of the sleep/wake button. Smooth and not textured, but still very much tactile. Cutouts for the iPhone's 3.5mm audio and Lightning connector ports are designed to support the Executive Field Case's form-fitting rigid construction without impeding on the use and functionality. You'll be able to easily plug in any modern 3.5mm audio jack, however, there are obvious limitations as to which type of additional accessories you might be able to use with this case on. We haven't seen a case that can accommodate large adapters without sacrificing its rigidity support around the bottom end of the case where usual flexing or sagging of the case would otherwise occur. With this rigid individual cutout design, Magpul was able to strengthen the integrity of the case all around the perimeter as it encases the device. 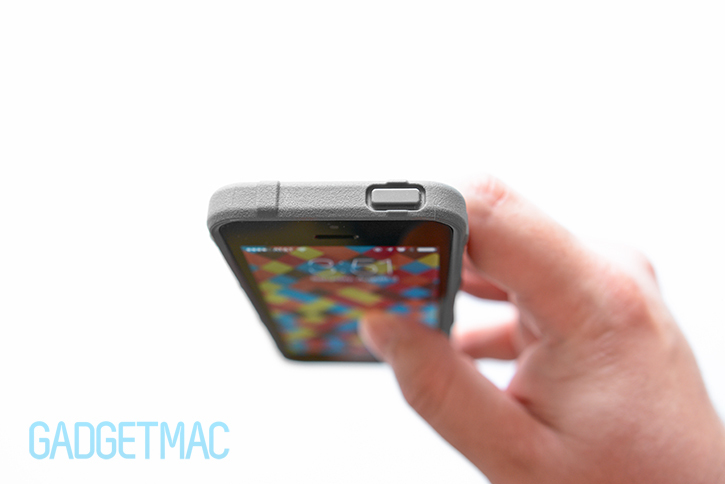 If you drop your iPhone 5/5s inside this case, chances are it'll be safe from a waist height drop because of the shock- absorbing polymer and elevated rim around the touchscreen. I wouldn't recommend it as a tough case, but instead as a very protective case that'll keep your iPhone 5/5s safe from the occasional drop, scuffs and scratches without imposing any bulk whatsoever. It's worth noting that despite it being a slimmer case, it isn't any less protective than the Field Case. Magpul's Executive Field Case is as good as the Field Case, only that it offers a different visual appeal at a slightly slimmer form factor. You'll be hard pressed to find a similar case that'll offer you as much good-feel grip at such a low profile and overall quality at such a low-ball price. 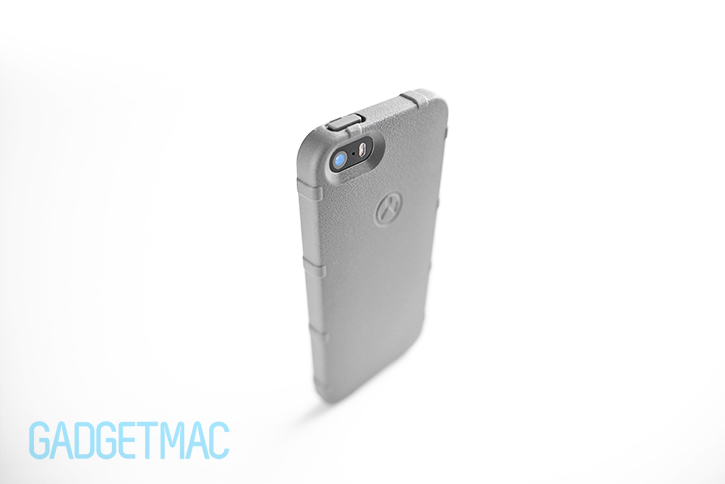 It's one of the best cases that you can get for your iPhone 5/5s right now without having to spend a small fortune. 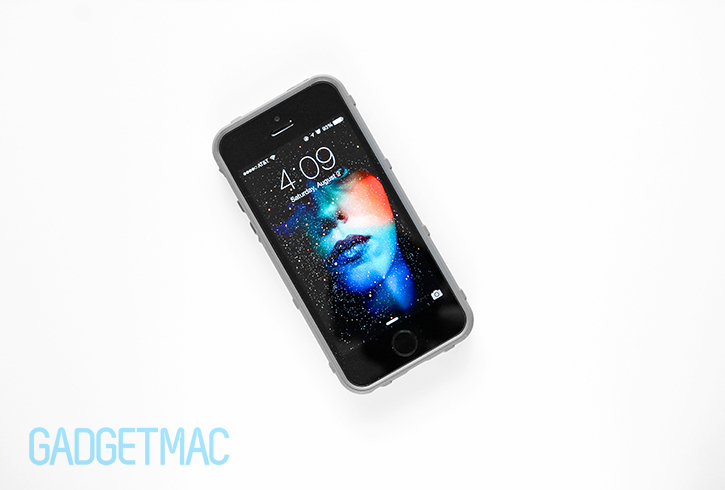 As many of you know, the redesigned iPhone 6 is just around the corner, and with that in mind, iPhone users are now more than ever reluctant to purchase accessories for their soon-to-be-obsolete smartphone. 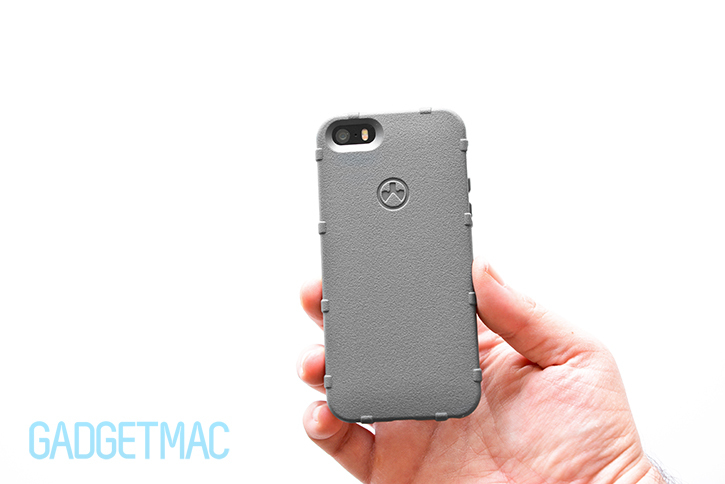 When September comes and with it the redesigned iPhone 6, Magpul will undoubtedly make new cases for it. But if you're in no rush to upgrade your iPhone 5/5s, the Executive Field Case is one case you should seriously consider under just $17. If you love a beautifully executed grippy case you can just slip on and forget it's even there, the Executive Field Case is one of the very few cases we know of that's capable of providing such an amazing feel-good grip and flawless skin-tight fit. We think that like its Field Case doppelganger, the Executive Field Case is yet another great case from Magpul worthy of our Editors' Choice Award and sky-high rating. There's arguably no faulting the Executive Field Case.